What is the future of the human organization, and how can we work towards that ideal? In the fall of 2015, I was part of a group of 15 professionals — corporate executives, NGO leaders, social entrepreneurs, software engineers, agency folks, artists, and writers — who had come together for a weekend in London to explore the following questions: In an age of AI, data, and automation, what will the future human organization look like? And what exactly will make it human? The two days in London were meant to be private and ephemeral. Follow-up or action items were beside the point. But, somehow organically, our conversations, exercises, walks, and meals together resulted in a final deliverable of sorts: a description of the tenets of the new kind of business we were dreaming of — a manifesto. Some of us worked on it further in the weeks following the meeting, but we never managed to share it beyond our group, with schedules busy and momentum eventually fading. 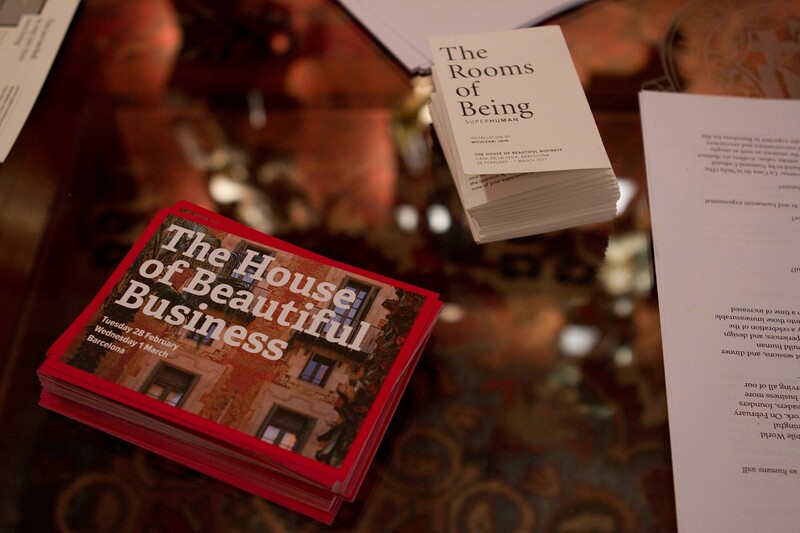 Then, more than a year later, I helped launch The House of Beautiful Business, together with several partners, in Barcelona. Browsing through some old folders on my laptop, I realized that the manifesto we had written in London encapsulated the very source code of Beautiful Business. It describes the values and principles of a business that truly embraces radical humanism, based on a much broader notion of what it means to be human at work. And since the ideas expressed in the manifesto have gained relevance amidst the proliferation of AI and automation as well as an ever-tighter grip, if not escalation, of a populist market society, I decided to publish it at last, with the permission and on behalf of all the weekend’s participants. Please find it below. The Manifesto of Beautiful Business is not a framework, formula, or template, not even a call for action. It provides no evidence and is utterly romantic in that it expresses a desire only. It can’t be proven. It might be a pipe dream. Or the new reality of doing business. The participants in the London weekend of work: Melanie Altarescu, Jay Baik, Jonathan Cook, Chris Chavez, Kingshuk Das, Dirk Dobiey, Till Grusche, Mathieu Lefevre, Ximo Peris, Helene Lundbye Petersen, Simin Radmanesh, Benazir Radmanesh, Lisa Shufro, and Julia von Winterfeldt. We may proﬁt, but our primary motivation is not the pursuit of proﬁt. We believe that the choice between proﬁtability and humanity in business is based upon a false distinction. The process of going through struggles of meaningful work is as valuable as the end product that it creates. Annual reports should consist of epic stories of struggle and transformation, with ﬁnancial income as a footnote. We place less emphasis on individual performance than on our collective coherence and progress. We seek to liberate the potential within ourselves through our work, and within others through our trade with them. Good jobs are jobs that make us come alive. We believe in the value of beauty and fulﬁllment for their own sake, but also understand that emotion is the fuel that propels the engines of business. When people say that our work is warm and fuzzy, we accept it as a compliment. We seek to create market disruption on a deeper level, for the purpose of enlightenment, not just for the creation of proﬁt. We develop strategies that account for long-term needs, not just short-term demands. We balance short-term gains with sacriﬁces enabling development over the long term. We recognize that business itself follows a cycle, so we do not make short- term decisions. We weather the storms, knowing that what goes down will come up. We see that work ﬁts within larger cycles of life, which can include occasions for celebration, but also times of struggle and mourning. Providing space for the recognition of these experiences makes our workplace stronger. We seek business advantage by cultivating the power of negative space. We believe that down time is as productive as time on the clock. We understand that the human mind solves problems while it is taking a break, sleeping, and on vacation, in ways that it never could while sitting at a desk. We are mindful of the need for team members to terminate or take a break from professional relationships in a way that respects both individual and collective needs. The value of goods and services is relative to cultural beliefs and emotional feelings. We examine cultural systems of behavior. We seek to involve ourselves in service to the larger community within which our work is situated. We pay attention to small details, looking for the big insights hidden within them. We pay attention to product trends within their cultural context, not just as fads in isolation. We learn from and serve other tribes. We believe in the worth of what we do so much that we would do our work even if we weren’t paid for it. We seek opportunities for voluntary suffering in our work, knowing that what we create through that work will be made the richer for it, and understanding that the sacriﬁce will not go beyond humane limits. This suffering is not expected from us, however, and cannot be demanded of us. It should be given only when we feel called to do so. We are allowed to bring our pain to work and express it. We look for opportunities to give while at work, not just to receive. We acknowledge what we don’t know, seeking to ﬁll gaps in our understanding. We recognize that there are some things we will never know for sure, and embrace the worth of mystery, which arouses our curiosity even as it rebuffs efforts at detailed scrutiny. Before we seek to provide answers, we seek to understand our questions. We ask a full range of questions, and match them to research methods especially suited to those questions. We recognize that both quantitative and qualitative research methods contribute to human understanding, and seek to use both, with each informing and deepening the practice of the other. We haven’t settled all our questions: Should we pursue exponential growth? Are we seeking sustainability? Are we trying to create a revolution, evolution, or something else? How can we work with metrics in a way that does not strip the humanity out of our work? What are the alternatives to performance reviews? Are we trying to achieve mystical transcendence, or just trying to get people to feel as if they are part of something larger than their own individual ambitions? We believe that the value of metrics must be put in practice alongside non-quantitative, non-standardized systems of information, analysis, and meaning. We don’t allow a job description to restrict the work we contribute or how we compensate. We believe in the power of mystery. We listen to what is not said. We need time at work that is outside of purposeful structure, in order to wander. We don’t allow a job description to restrict the work we contribute. Being who we are is as important to our work as doing what we do. Our business requires more than ﬁnancial income to keep it going. We sustain each other through emotional investment as well. We know that ﬁnancial compensation, though it should be fair, is not what drives the most fruitful work. We believe that professional communities should organize themselves in such a way as to support the ongoing wellness of their members, not just to advance their ﬁnancial income. Even as there is ﬂexibility in compensation, there needs to be clarity about the terms when they are set. We design our work in order to remain relevant in the long run. We do not sacriﬁce our long-term viability for the sake of short-term gains. We do not wait until we break to take a break. Biological creatures are inclined to work from their own intrinsic drives, including the drive to create and maintain social connections. Biological creatures have complex needs, which include interaction with stimulating environments. We formally acknowledge that we cannot be expected to perform at the same level, in the same environment, at set times. Forcing this predictability steamrolls our natural lives. We are not physical tools to be owned and used for others’ purposes as if we are merely objects. We are more than just our minds, algorithmic networks for information processing that can be replicated or uploaded into databases. As human beings, we are bodies and minds integrated together. Our bodies cannot work when our minds disengage from the job. Neither can we properly solve problems and engage in acts of economic creation when our bodies are not allowed the conditions they need to behave naturally. We therefore can only be successful when we are allowed to come to work as complete human beings. We need fresh air, food, exercise, and meditation. As organic creatures, we need freedom to behave naturally, understanding that there are mysterious processes that bring us to health and success which cannot be made more efﬁcient or micromanaged. The ability to refuse to work is a critical part of our humanity. Human work is work that we can refuse. We strive for thick presence rather than lean distribution. As a counterbalance to artificial intelligence, we can be thick in the sense of being stupid — appropriately stupefied by an overwhelming experience that cannot be experienced by an algorithmic network. We consider pure efficiency a waste of time. We embrace wasting time as the prerequisite to intimacy, creativity, and innovation. While quantitative metrics are a valuable tool, there are many things that cannot be understood just by being counted. We trust people’s ability to participate in coherent systems of meaning even if they do not consciously understand them. Human minds are complex, involving subjective methods of decision making that operate effectively outside of the rules of logic. We don’t follow a single plan from start to ﬁnish. Our work is iterative. We learn what works by trying things that fail. When one of us shows up for work out of obligation or habit, it is a sign of failure. We need to ﬁnd a match between our tasks and our values. When we hear ourselves justifying an action that is not in accord with our values, “just this once,” we know that we are headed in the wrong direction, because one departure from our values will lead to other departures, and break trust with each other, as well as those we work for. None of our work is mundane. The smallest task in our projects is sacred. We are empowered to chase down spontaneous tangents. We bring positive energy and compassion to our work. We support each other’s ideas and passions, even if we don’t understand right away how they will ﬁt into the business. We are attentive to each other’s strengths, vulnerabilities, and struggles. We treat each other as members of a community, depending upon each other. We are equals with each other and with those whom we serve. We provide each other with positive, afﬁrmative feedback. The minute that scaling up compromises the experience we seek to create is the moment it is time for us to begin scaling back. We are transformed ourselves, through our work. We transform our clients, through the experiences we create through our work for them. We transform the companies our clients work for, through our example. We honor the advantages of conventional perspectives even as we subject them to critical examination and look for alternatives. We ﬁnd solutions to enduring problems by looking at them from new perspectives, re-examining fundamental premises that others take for granted. We seek out deeper dimensions to those commercial landscapes that others perceive as ﬂat. We identify unnecessary legacies in professional culture and look for ways to transcend them. The cultural landscape in which business operates is not ﬂat. Straight lines are often not the most effective routes to follow. Our projects are not just problem-solving exercises in which the ends justify the means. The experiences we have along the way are as important as our arrival at the end of the path. Our relationship with work is sensual. We create aesthetic worth by taking time to invest value in our work. We look for artistic expression and symbolic interpretation of industrial processes. We won’t always do things the same way. We seek deviation even from the most successful routines. The next House of Beautiful Business is planned for November 2–10, 2017 in Lisbon. Please check houseofbeautiful.biz for updates.